• UNIQUE! 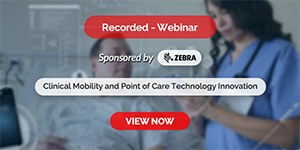 Hybrid atlas/question-and-answer format focuses your energies on applying core text content within hundreds of practice opportunities — both knowledge-based and critical thinking — to better prepare you for clinical experiences. • Hundreds of clinical photos and radiographs allow you to see not only how images should be obtained, but also how to identify normal and abnormal findings on radiographs. • 525 test questions, organized by radiation science and assessment/interpretation, offer board review practice. • A back-of-book answer key contains detailed answers and rationales for each Q&A set within each chapter, in addition to simple answers for the board review questions. • Comprehensive coverage of all dental imaging techniques and errors, as well as normal and abnormal findings, makes this supplement a must-have throughout your radiography courses, as a board study tool, and as a clinical reference. • Emphasis on application through case-based items that encourage you to read, comprehend, and assimilate content to formulate a well-reasoned answer. • Approachable, straightforward writing style keeps the focus on simply stated, succinct questions and answers, leaving out extraneous details that may confuse you. • Chapter Goals and Learning Objectives serve as checkpoints to ensure content comprehension and mastery. 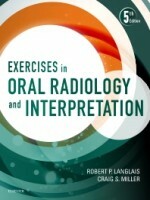 • Written by two highly trusted, longtime opinion leaders, educators, and clinicians in oral medicine and oral radiology, Bob Langlais and Craig Miller, this valuable instructional and study aid promotes classroom and clinical success.